Aussie underground producers Hermitude are set to make some waves this summer with their infectious party song ‘Speak Of The Devil’, featuring the vocals of Sydney artist Chaos Emerald. With its contorting synth lines, chorus and slamming drums, it definitely captures the energy of the duo. It's an ode to shaking off self-awareness; being dragged on the dancefloor and finding it's exactly what you need. Hermitude is Luke Dubs (Luke Dubber) and Elgusto (Angus Stuart), who started off playing live in various funk/soul/jazz bands when they were kids. 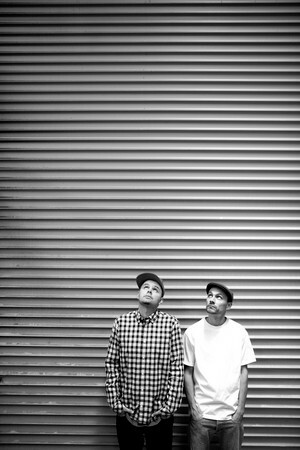 They officially formed over their shared love of beats and acts such as DJ Shadow and Krush, with their debut album, ‘Alleys To Valleys’, released in 2003. With three more albums under their belt (‘Tales Of The Drift’ in 2005, ‘Threads’ in 2008 and ‘HyperParadise’ in 2012), Hermitude have become a bit of a household name down-under and have a solid reputation for brilliant studio productions and vibrant live performances which employ a multitude of synths, decks and samplers. Check the top video out below, the track’s out 30th July.